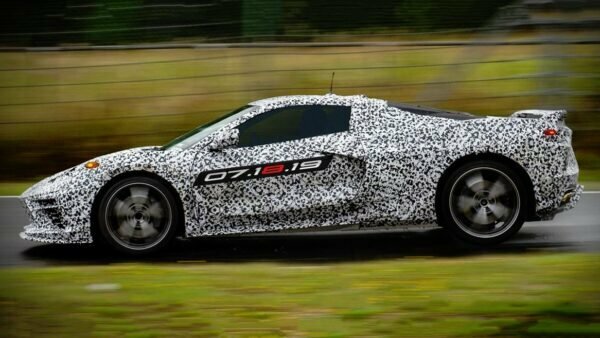 After all the rumors and leaks, we finally get a chance to see the wild 2018 Corvette ZR-1. 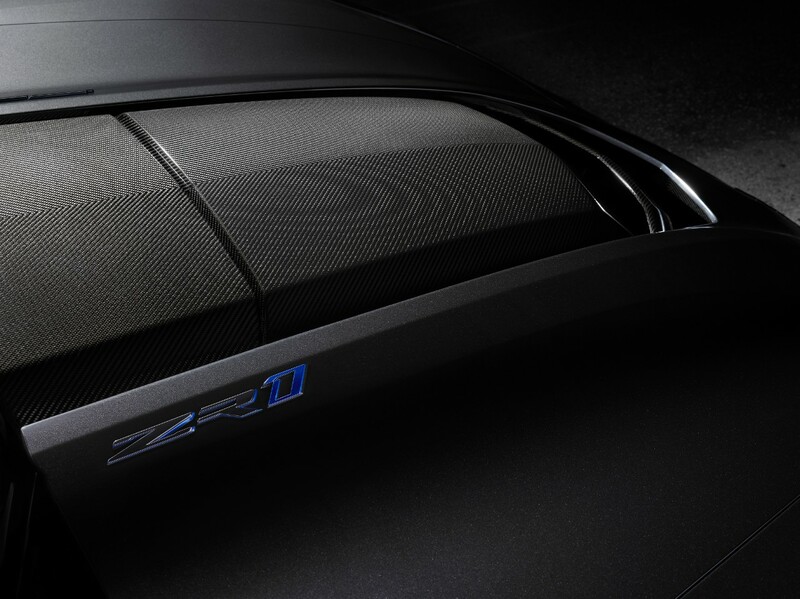 The previous ZR-1, code-named Blue Devil, hit showrooms in 2009 and ran through 2013 when C6 production ended. The C6 ZR-1 was, at the time, the most extreme Corvette ever. 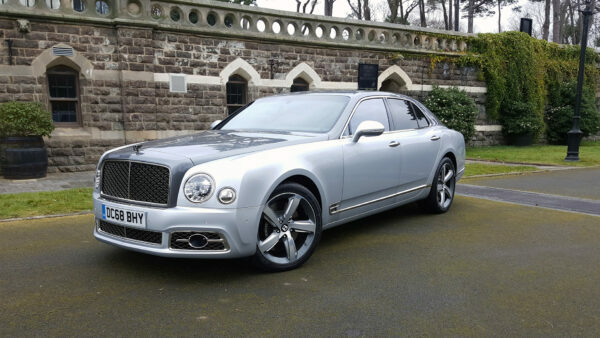 With a 6.2L-liter V8 sporting a supercharger, it clocked in a 638hp and 604lb-ft of torque. 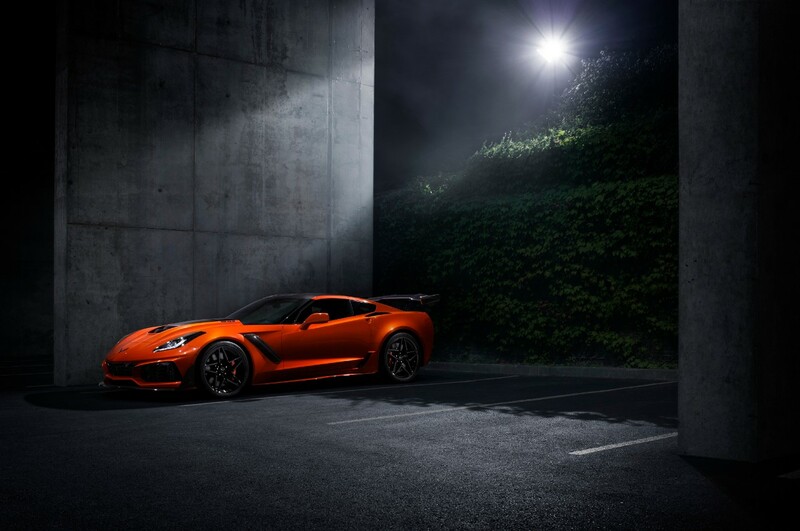 The C6 ZR1 would hit 60mph in just over three seconds and continue all the way to 205mph. This made it the first production Corvette to eclipse the 200mph barrier. 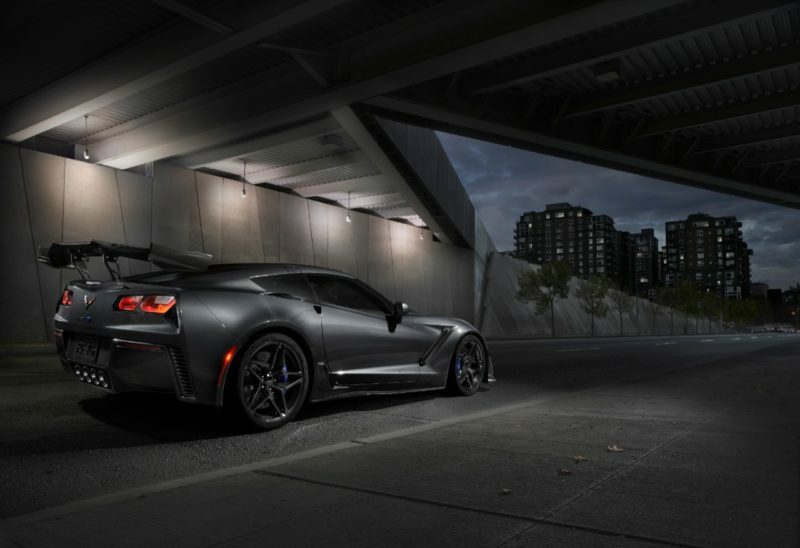 For the C7-generation ZR1 General Motors needed to raise the bar — especially since the Camaro ZL1 is nearly as fast as the previous ZR-1. Thankfully, GM wasn’t messing around. 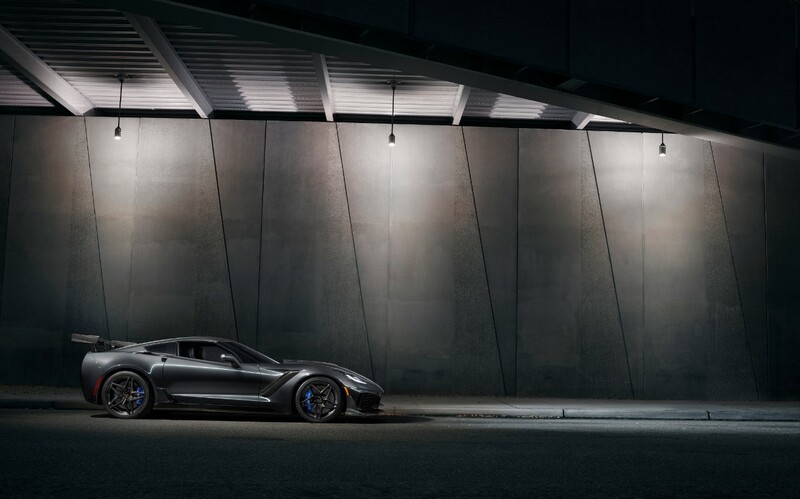 The C7 ZR-1 comes with a new, exclusive LT5 V8 engine with a sizeable supercharger attached. 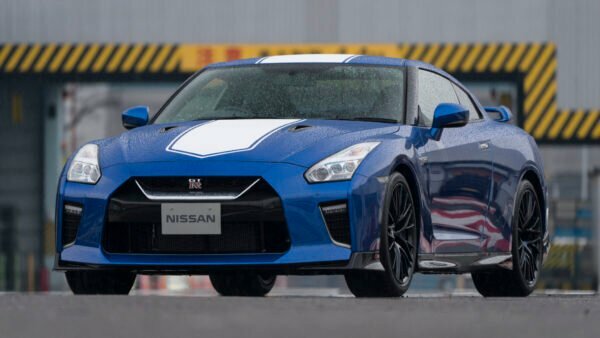 The new engine puts out a whopping 755 horsepower and 715lb-ft or torque. 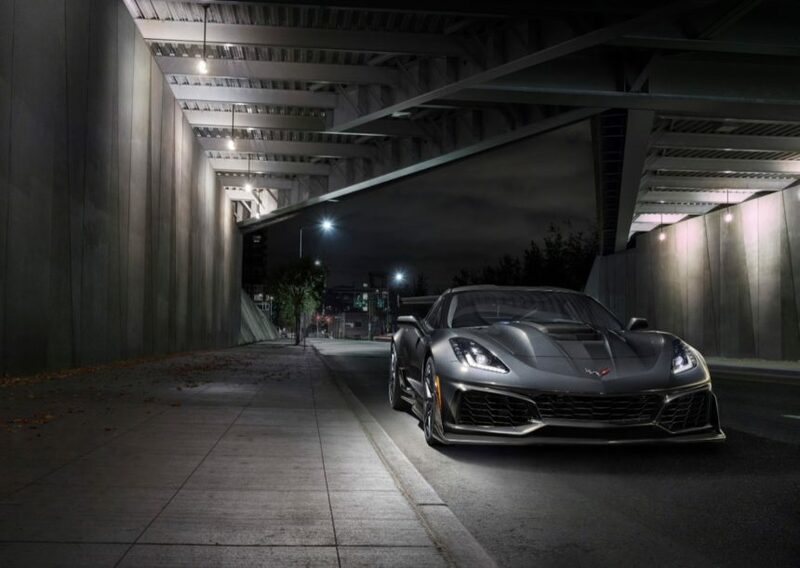 This dethrones the previous ZR-1 as the most powerful Corvette ever. 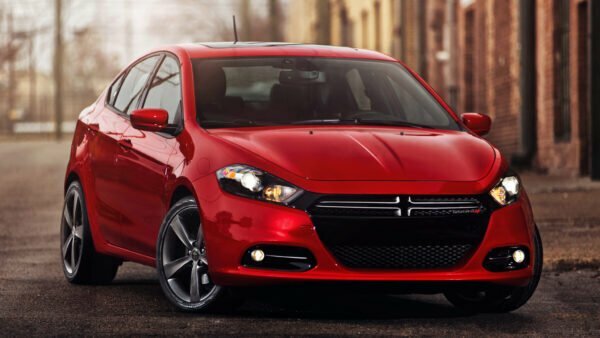 It also makes it the second-most powerful production American car, behind the Dodge Demon. Top speed comes in a 210mph, which may not seem like much. However, all you need to do is take a look at the aero features of the car to see that top speed isn’t what it’s gunning for. With the aero, there are two options for potential buyers to choose from. The Low Wing package will focus more on top speed and less about rear downforce. However, it still produces 70% more downforce than a base Z06. The High Wing comes as part of the ZTK package. 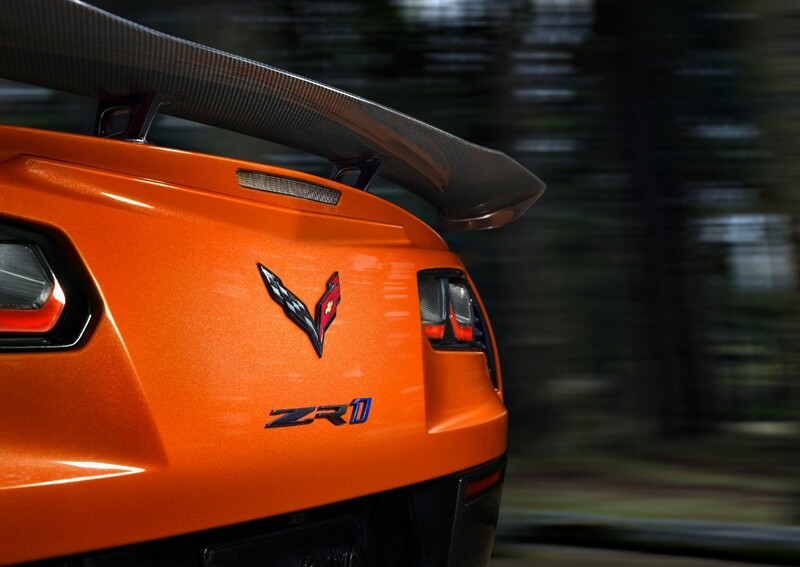 The increases downforce 60% over the Z07 performance pack on the Z06. It’s estimated to produce 950lb of downforce, which is fairly substantial. 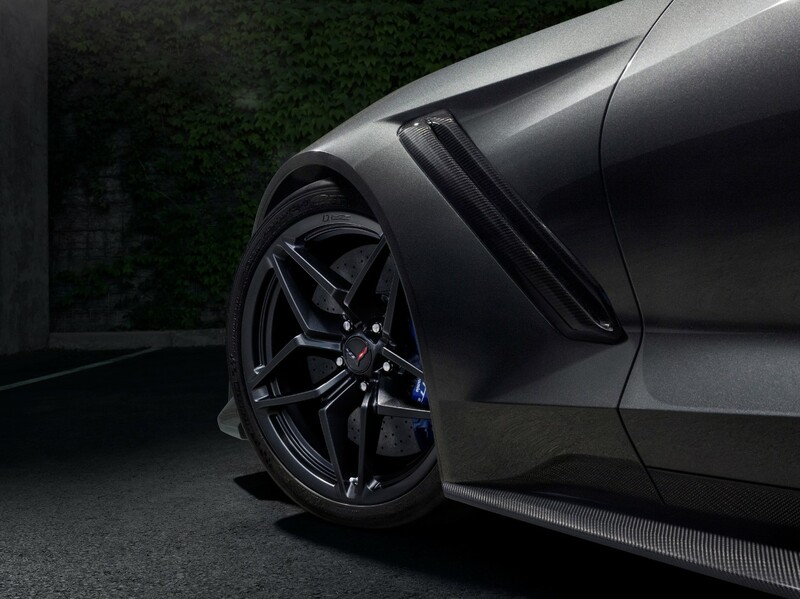 In addition to the High Wing, the ZTK package also includes a front splitter with carbon fiber end caps. Michelin Pilot Sport Cup 2 tires, chassis tuning, and Magnetic Ride Control also find there way into the package. 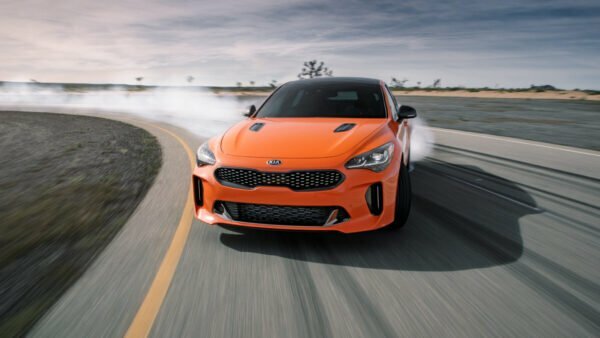 In addition to the performance package, there’s also a cosmetic upgrade dubbed the Sebring Orange Design Package. Not that it’s a surprise, but it consists of a sea of orange paint and accents. From the body to the seat belts and several pieces in between, it’s a regular tangerine dream. GM didn’t mention the rest of the performance data and features for the car. We expect the 0-60 time to be under three seconds though. 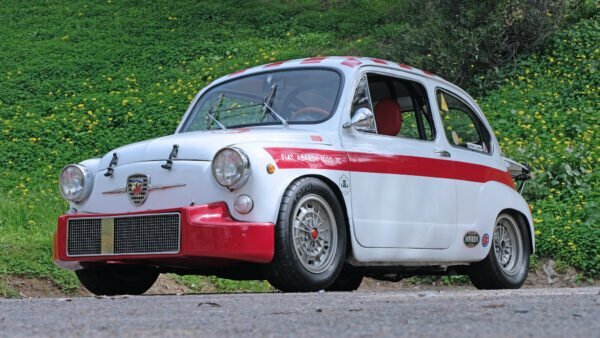 Also, given the amount of aero available and some big, sticky tires, we wouldn’t be surprised to see it slip under the seven-minute barrier at the ‘Ring. 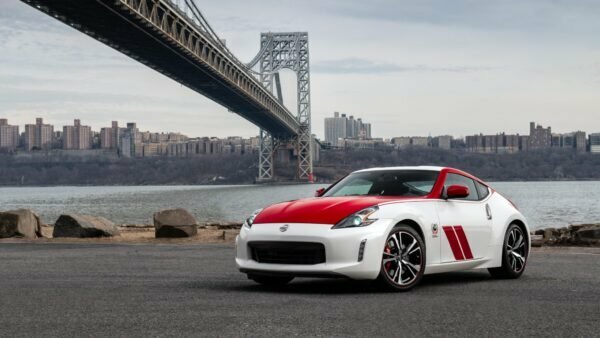 The ZR-1 will go on sale in the spring, however, GM’s keeping mum on the price. We think it’ll be right around $120,000, which will still be a bargain considering the absurd level of performance.